You'll be glad to know that there are now many cost-effective options for making manoeuvring your caravan less stressful. As soon as you put your vehicle into reverse, these caravan reversing cameras automatically relay pictures from outside your vehicle or tow, showing you clearly what is happening behind and (if you are going for a reversing system which has multiple cameras) to the sides, should you choose. Ahhh - a bit of peace of mind! Especially on a busy campsite when manoeuvring your 'van into a tight pitch space. 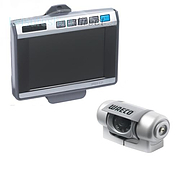 It may seem like one of the more luxurious and indulgent accessories for your motorhome, but a number of these motorhome reversing cameras are now highly affordable and, the customers who have bought one tell us, a great investment. Ideal for those new to touring, for those whose necks aren't quite what they used to be (!) 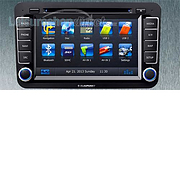 and for those who want to arrive at the end of a journey feeling relaxed, some of these options even have external microphones so that you have the option to hear what's going on at the back of your vehcile as well as clearly see. 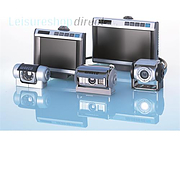 A range of caravan reversing cameras, motorhome reversing cameras and navigation systems complete with cameras, monitors to take the stress out of manoeuvring!